DJ, won't yyou play my favorite song? The first gun start is at 3AM and live performances will be scattered around the racetrack. 5K racers can enjoy the music of Delta Street, Sandwich, The Diegos, DJ Mia Ayesa, Deuce Manila and DJ Nina. 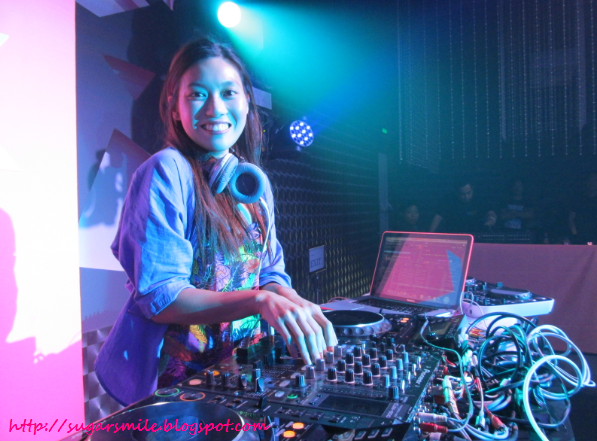 As for the 10k racers, they will get the chance to run to Funk Avy and DJ Khai. While the 21k race will see all performances, as well as the finale concert of Rico Blanco, Elmo Magalona and DJ Mars Miranda. Awesome, isn't it? The Run To Your Beat also partners with running expert, Coach Rio. 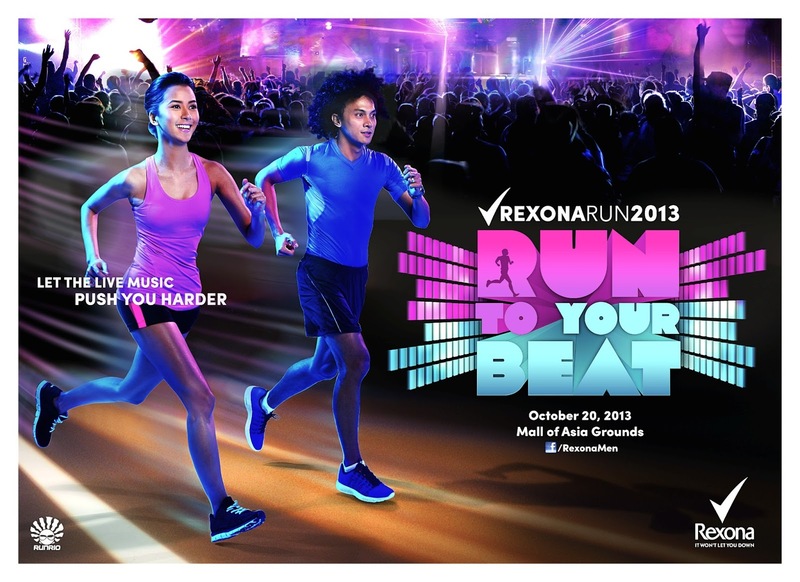 He said, “It’s been proven that listening to music unleashes your energy, allowing you to run further”, and that is why Rexona and its DO:MORE philosophy creates a perfect combination to a successful run. As a testimony to Rexona’s efficacy, Run to Your Beat defines how their product will keep you dry and fresh from gun start to the finish line. Registration fee is Php600 for 5K, Php700 for 10K and Php900 for 21K. Top three finishers in the 21K category wins Php7,000 - 1st Prize, Php5,000 - 2nd Prize and Php3,000 - 3rd Prize. 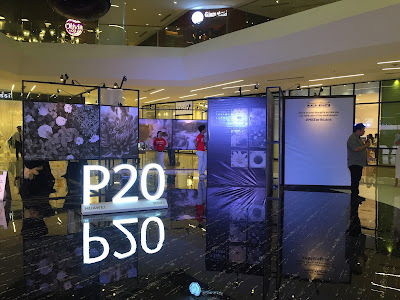 While top three in the 10K category will win Php5,000, Php4,000 and Php3,000 respectively. And of course, 5K top three finishers will go home with Php4,000, Php3,000 and Php2,000. To register, visit Riovanna stores located in Bonifacio Global City and Katipunan, as well as Toby’s outlets in the SM Mall of Asia and SM North Edsa The Block. Online registrations are also accepted on www.runrio.com. Registration is ongoing until October 16, 2013. Are you ready to run and party at the finish line? I know I am! And I’m so excited because this will be the first run I’d really attend. The concept alone sounds super fun! 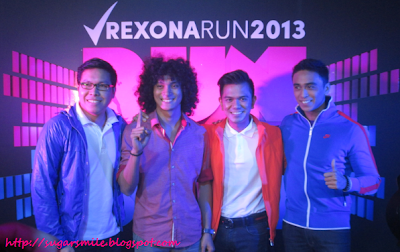 For more details visit the Rexona Men Facebook page, www.runrio.com or call/text the race hotline at 887 6194, 0973477700 (Globe), or 0929717864 (Smart).